Elecmec are able to manufacture control panels, electrical enclosures and electronic assemblies utilising, hard wired, through hole PCB and surface mount PCB technologies. Ultrasonic welding of plastic components and hot melt encapsulation enables sealed units to be manufactured. 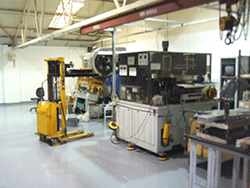 Also, spacers, sealing gaskets and adhesive layers are manufactured on our laser profiling and die cutting equipment. The manufacturability of electronic, electrical and electro-mechanical assemblies is further enhanced by a wide range of in house processes including but not limited to soldering, splicing, crimping, riveting and hot air staking.